This popular spa technique is an effective way to get your body looking svelt and smooth – no gym required. Dry skin brushing stimulates the lymphatic system and boosts circulation. Massaging the lymph nodes with a brush helps the body to eliminate toxins. 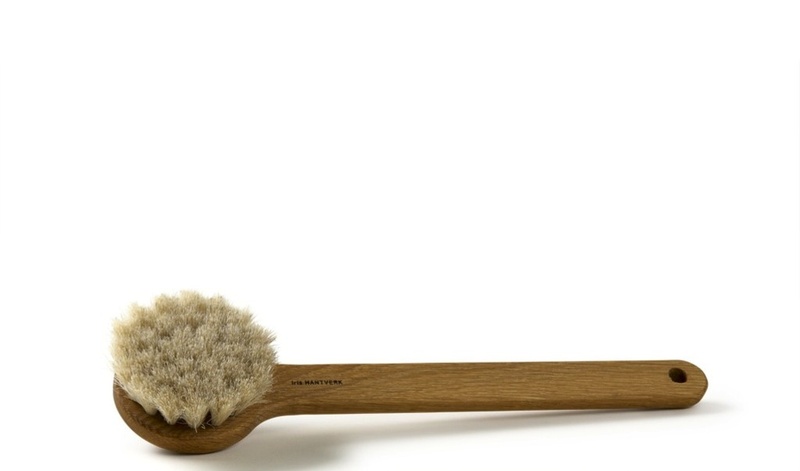 Dry skin brushing removes dead skin cells and also helps to reduce the appearance of cellulite. Make sure you use a long handled natural bristle brush and brush before a shower in the morning before work or at night before bed. Begin at the soles of your feet and brush upwards towards the heart using light but firm strokes. You always want to brush towards the heart because that’s the way the lymph nodes flow naturally. After you finish with your legs, brush your stomach, arms, back and shoulders. If the pressure is too much during brushing – back it off a little as brushing shouldn’t hurt. Also avoid brushing over inflamed, broken, or sunburned skin. Finish off with a hot shower or bath and a glass of hot water and lemon to help kick start your digestive system.